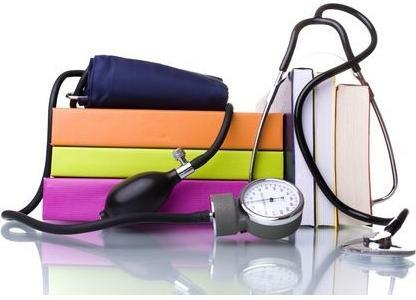 The Central Board of Secondary Education is otherwise known as CBSE will conduct the AIPMT entrance examination for the persons who like to learn the medical courses like the MBBS, BDS and various other medical courses. The candidates those who decided to possess the medical course, then they should check the eligibility criteria as well as the other details in the aipmt bulletin. Moreover, the candidates have passed in the 12th standard subjects with the Physics, Chemistry and Biology with the minimum of 50 percent marks in the corresponding subjects for the OBC and the other candidates. Whereas, the 40 percent of marks are required for the SC/ST candidates and 45 percent of marks are required for the PH candidates. The schedule of the AIPMT exam, the application procedure begins from the December month onwards. So that the candidates will register the online application form in the December 2015 onwards. Normally, the exam is conducted in the first week of May. The examination fee procedure can be paid using both the online as well as the offline mode. As soon as the application procedure is completed, the candidate required to pay the application fee through the net banking either by using the credit card or the credit card or else the candidate to also make the offline payment through the E-Challan. The fee structure for the general and OBC candidates is RS. 1200 and the late payment for them is 2400. Therefore, the fee for the SC/ST/PH candidates is 650 and the late payments for them is 1850. All the details regarding the fee payment and the exact dates are published in the aipmt bulletin for the convenience of the candidate. The candidate can either read the bulletin or else download and read on further. The candidates are advised to read the eligibility criteria before applying for the exam. All the candidates should have the possess the fundamental qualification of the 10+2 exam patterns or else the relevant qualifications of the subjects such as Physics, Chemistry and Biology which is shortly called as PCB for writing the exam and join the medical courses in the colleges under the CBSE. The candidates will be finished their 12th exam with PCB with English or Maths as one of the approved subjects. All these detailed information regarding both the preliminary and the main examination is published in the aipmt bulletin. So, each and every candidate will carefully select the eligibility criteria while filling the online application form on behalf of the entrance examination. This examination is usually conducted by the two rounds of tests. One is the preliminary examination and the other one is main examination. The first choice is the preliminary exam and this is conducted with giving 180 objective type questions from the PCB subjects and the time duration for these questions is usually allotted for 3 hours. Therefore, the final exam, there will be two papers, the first paper will contains the questions from the subjects of Physics as well as Chemistry and the other subject with the Biology. The main examination is non-objective type pattern. Those who passed in the two phases only called for the counseling and eligible to choose the medical as well as the BDS seats. The All India merit lists of the qualified candidates will be decided on the cut off marks that they secured in the AIPMT examination. The governments, institutions as well as the universities that are listed in the Quota seats always follow the admission criteria by following the reservation policies.